[by Sora Ghim] JTBC program ‘Where Is My Friend’s House (abbrev. ‘My Friend’s House’)’ will head to the home of Robin Deiana, France. Following China, Belgium, Nepal, Italy, Canada, South Korea, and Australia, France is the 8th location. Sam Okyere is the newest addition to the cast. Showing his variety skills on ‘Non-summit,’ Sam is fluent enough in French to communicate with locals, raising anticipation for his activity during this trip. 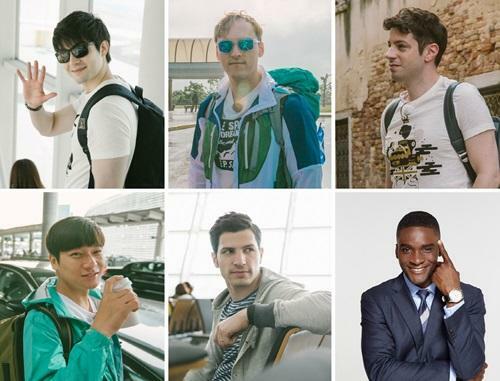 This is Sam’s first trip to Europe and he expressed, “I am already excited and overfilled.” Mark Tetto, Alberto Mondi, Zhang Yuan, and Guillaume Patry will also join this trip. The show plans on containing the various sights, culture and history of France. Robin’s hometown resides in France and outside of his home, the friends will travel to Burgundy and the southern region of France.